So Malta is amazing, although I have to say I didn’t expect anything less. I’m loving being a tourist and exploring some fantastic places and getting to understand all the history here. Unfortunately I’m in my last couple of days before heading home but I am looking forward to being back with my family and friends and to getting back in the kitchen. When I was at a market in Tasmania I found this awesome tin. 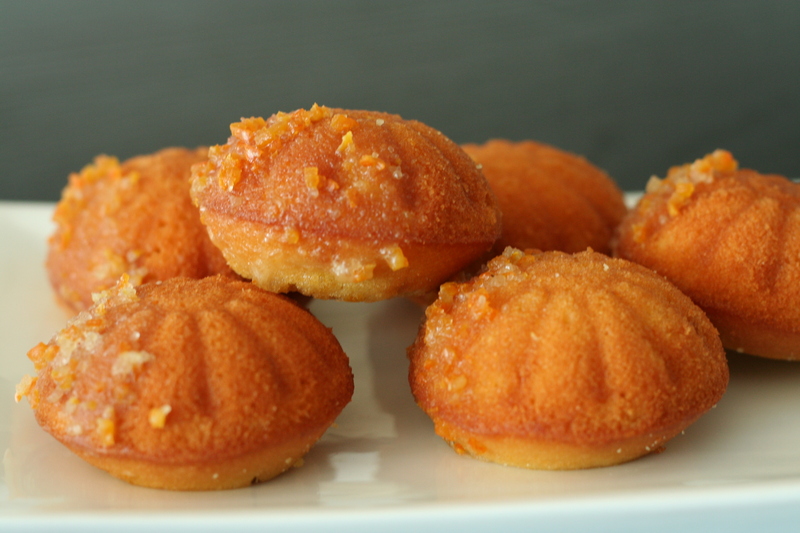 I had a few ideas of what I could use it for and one of those things was madeleines. 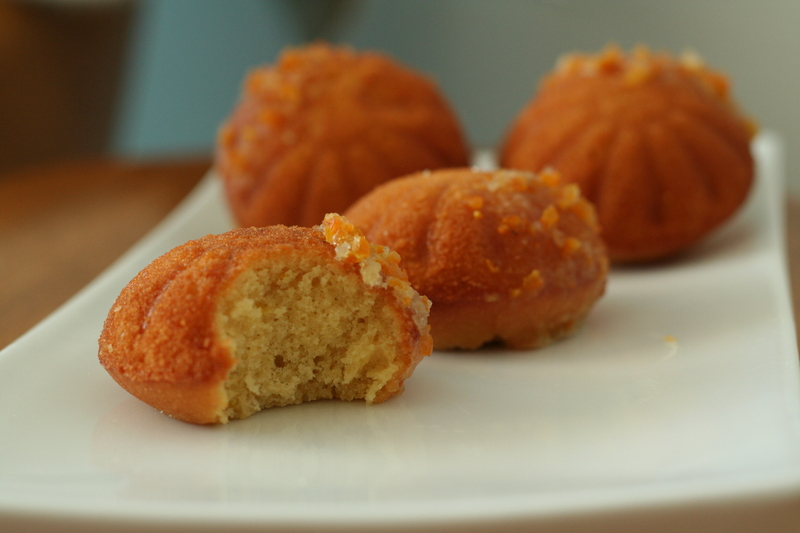 I’ve always wanted to make them but I’ve never had a madeleine tin. I do understand that this isn’t a traditional tin but it is a similar depth and was definitely worth a try. Being the first time I’ve made these I’m not entirely sure they’re accurate but they do taste pretty awesome. This recipe makes soft buttery sponge cakes with a lemony scent and they’re perfect straight from the oven. 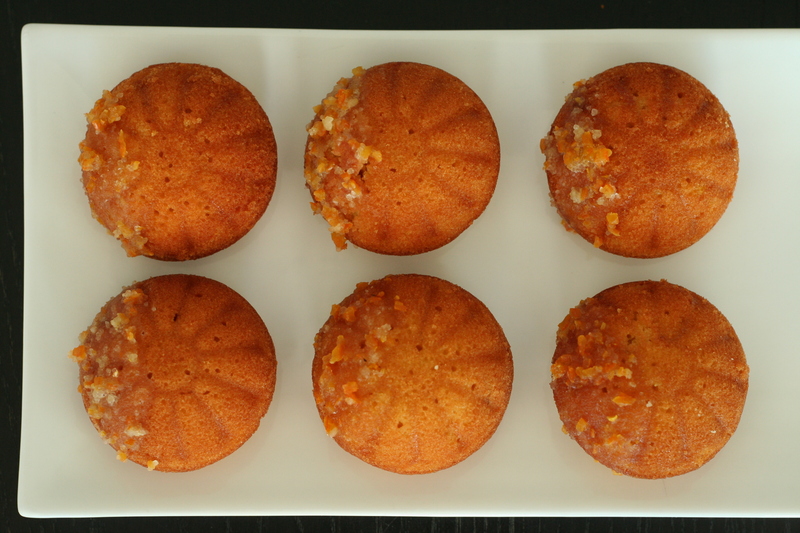 I decided to dip the cakes in a mandarin flavoured glaze to give them some extra sweetness and a bit of texture. I did find that after a while they became a bit dense and weren’t as enjoyable but they were still delicious with a cup of tea or coffee. Some tips I found out while researching how best to make madeleines: make sure you butter your tin well (I used a pastry brush dipped in soft butter) and don’t overfill them. The longer you let the batter rest before baking the better, at least four hours is good, overnight is even better. 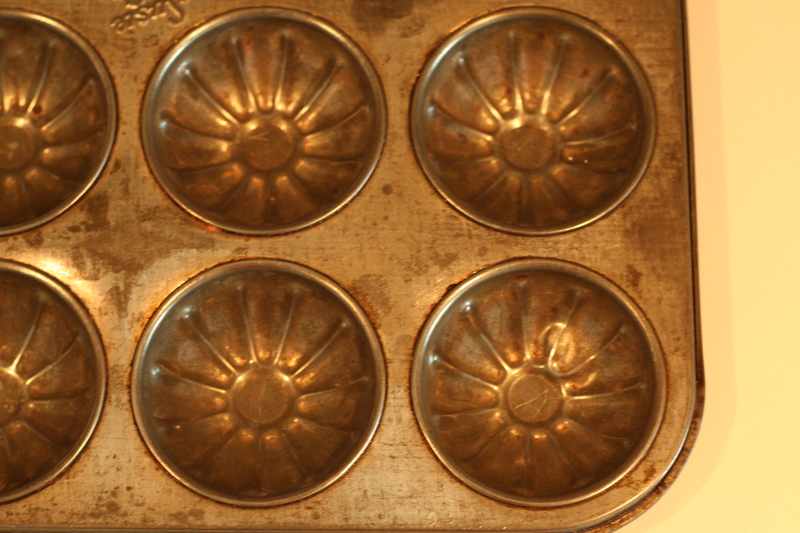 Once you have filled the tins tap them on bench to get out any air bubbles and preheat your oven properly before baking. 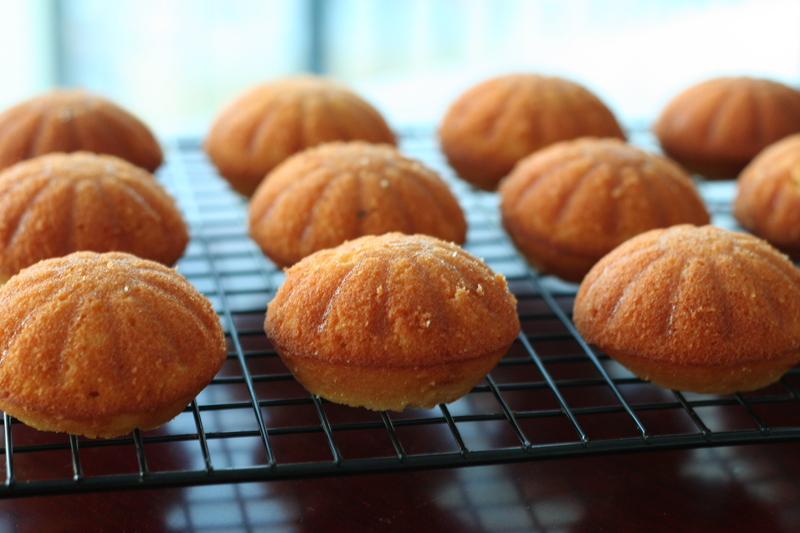 If the madeleines don’t come out of the tin easily use a toothpick or a spoon to help them out. In a small saucepan melt the butter and then add the lemon rind. Set aside until the butter cools but not long enough for it to set. In a large bowl mix together the eggs, sugars and golden syrup on high speed until pale and fluffy (about 5 minutes). Sift the baking powder and flour into the mixture and fold through gently. Add the butter mix in small amounts, folding through after each addition. Cover the bowl with cling wrap and refrigerate for at least 4 hours. Preheat your oven to 180° and butter your tin well. 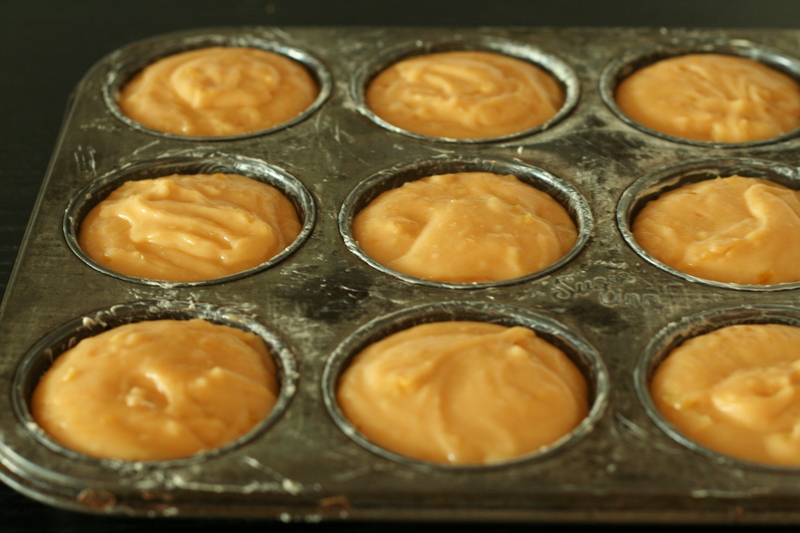 Spoon the batter into the moulds until 2/3 full and tap the tin on the bench to get out the air bubbles. Bake for 8-10 minutes or until golden then allow to cool before dipping in the mandarin glaze. Combine all ingredients in a small saucepan and heat gently until the sugar has melted. 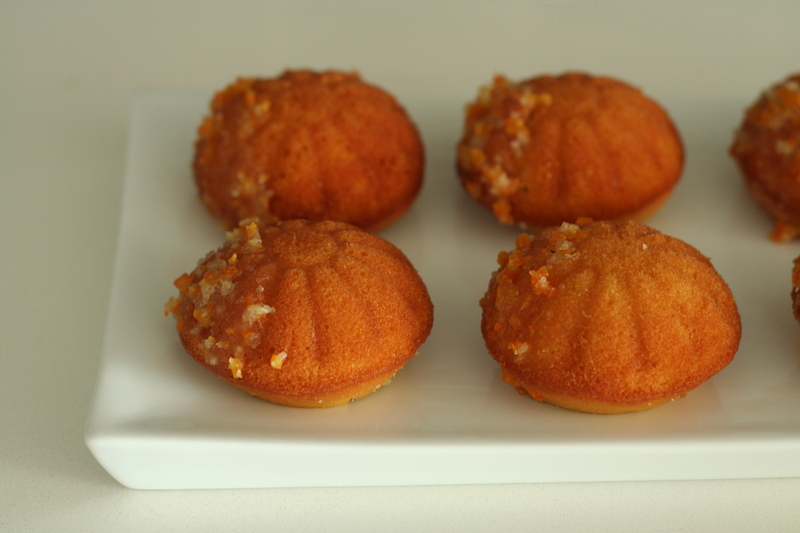 Dip the madeleines into the glaze and allow to set on a wire rack. These look really gorgeous. Great with coffe. I’ll give them a go because I have a similar tim I got from my mother’s place. 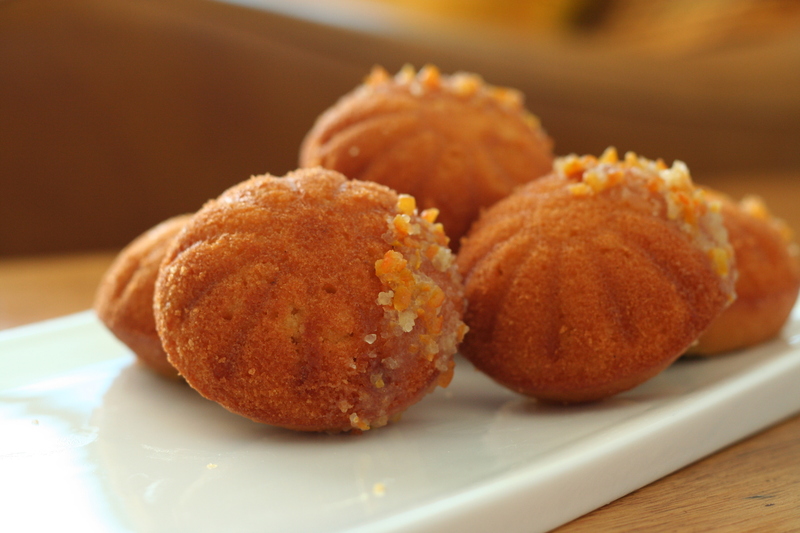 How beautiful your madeleines look! With all my baking paraphanelia, I don’t own a pan like that. I think I must get one. I love the shape of your madeleines! They look amazingly delicious. Madeleine is on my list of challenge for baking. Thanks for the useful tips! They were on my challenge list as well but it turns out they’re really easy! could the biscuits be made if a tin wasn’t available? These are so beautiful! 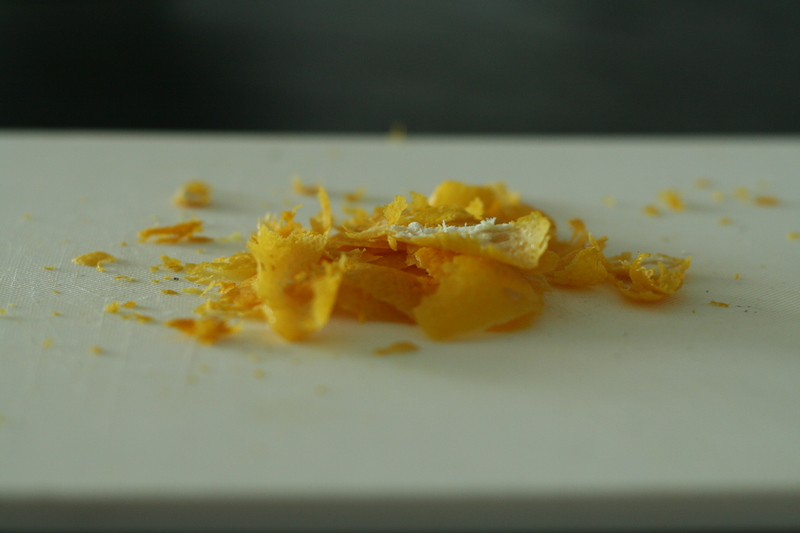 And mandarin is the best… yum! They look amazing and the tin was obviously a great find. I love the pan and the Madeleines look awsome.